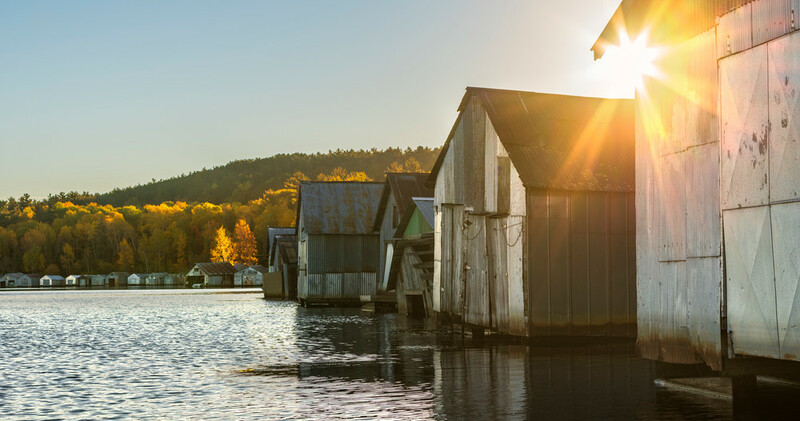 An autumn sunrise at the Stuntz Bay boathouses on Minnesota's Lake Vermilion. Slipping my canoe into the water on this autumn morning was a serene experience. I enjoyed the quiet of morning and warmth of the rising sun on my face!